Like my work? Please consider making a small donation to me. Donations help pay for server-space, hardware, domain-names, and all the fun stuff that's needed to keep this site going. Below is a collection of software, artwork, and presentations which I have produced over the past few years. All work, unless otherwise noted, carries a free license so that others may benefit from my efforts. See each project for details. Tokumei is a simple anonymous microblogging platform. Create and browse content without fear of your activity being traced back to you. Created with Kyle Farwell. imgrep is a grep-like utility for Unixes, used for finding images that contain text snippets. It uses Tesseract OCR and pattern matching to extract and index text. Submitted to Hack the North 2017 with Ivan Zhang. stegamsg is a "steganographic messaging" platform. 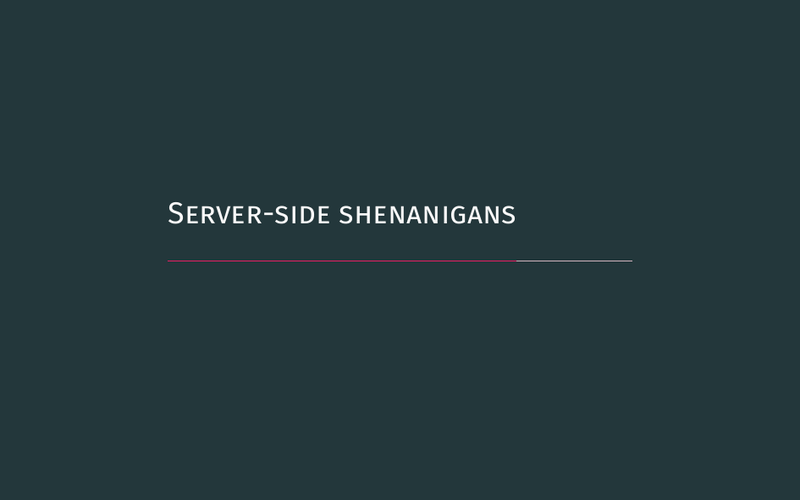 It allows users to anonymously send secret messages encoded within PNG formatted bytestreams. Submitted to MHacks X with Ace Parent. This is a module for Python3 that checks for common errors and suggests corrections in the APA style for scientific writing. It was originally built for use within the IFS project. The Immediate Feed Back System (IFS) is a web application for student programming and essay writing assessment. I developed and improved features for it as part of my 2017 undergraduate research assistantship in my first year at U of Guelph. Created with Jamey Fraser, Dan Gillis and Judi McCuaig. Built in about 4 hours for Terrible Hack Waterloo in November 2016, this prank keyboard randomizes your Android keylayout and destroys random keys on every tap. This high school project was an exercise in which I explored how Huffman coding — a method of lossless compression — worked on plain-text files. A similar approach can be taken with other types of data. There are times when an unsigned long long simply doesn't cut it. You need to use numbers that are maybe hundreds of digits in length. This 11th grade school project is the beginning of a C++ large number arithmetic library. Western Student Research Conference was held in London, ON on 29 March 2019. We presented our work exploring the viability of mobile ad hoc networks as an alternative to fixed communication infrastructure in Northern Canada. 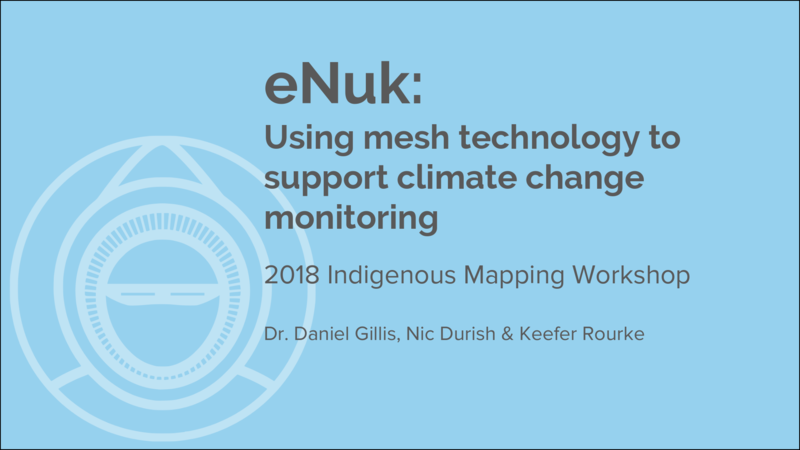 The 2018 Indigenous Mapping Workshop was held in Montréal, QC from August 20-23. 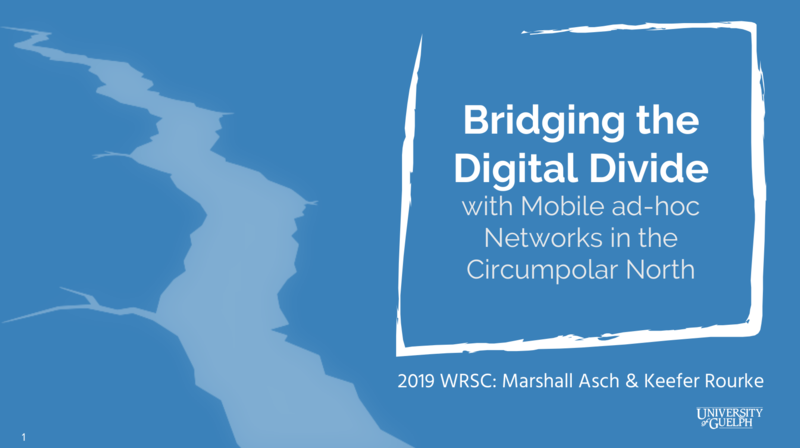 The eNuk research team, and their partners at Left Inc. were invited to deliver this keynote to explain how we are using mobile mesh technology to improve connectivity and monitoring in the community of Rigolet, Nunatsiavut. Starcon is an annual software engineering conference hosted at the University of Waterloo. 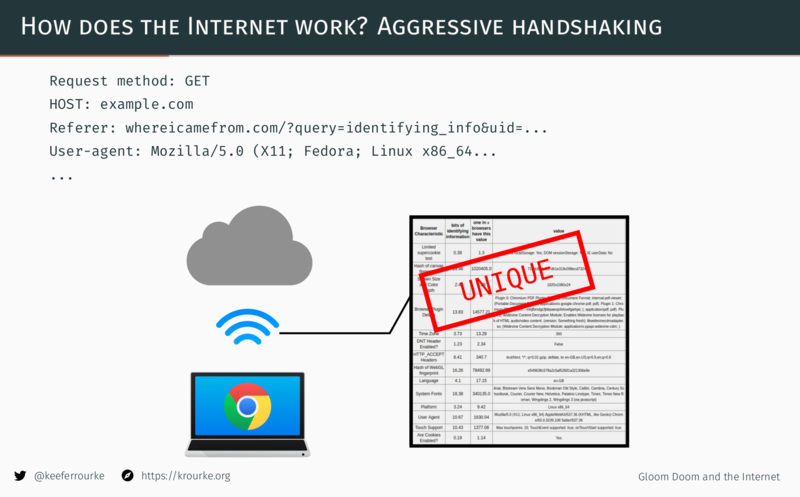 I presented my talk "Gloom, Doom, and the Internet", highlighting some prevalent anti-patterns in web development, and explaining privacy-oriented designs. 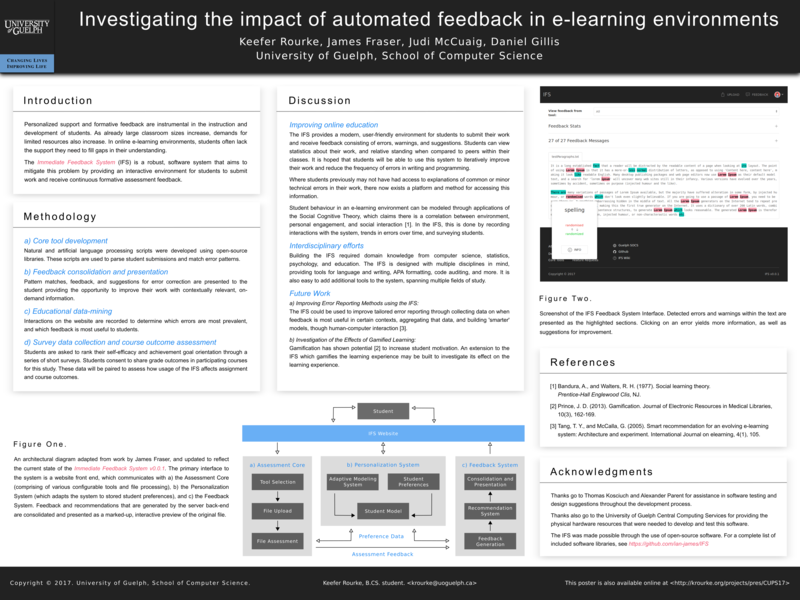 A poster submission for the CPES Undergraduate Poster Session, outlining the Immediate Feedback System — a web application I developed as part of my research assistantship at the University of Guelph. A presentation on online anonymity, Tor, and Tokumei — an online anonymous microblogging platform. Talk prepared by Keefer Rourke for the Guelph Coding Community at the University of Guelph, ON, Canada. La Capitaine is an icon theme designed to integrate with most modern Desktop Environments and is inspired by recent macOS and Material Design guidelines. Bring some life to your boring GNU/Linux desktop! 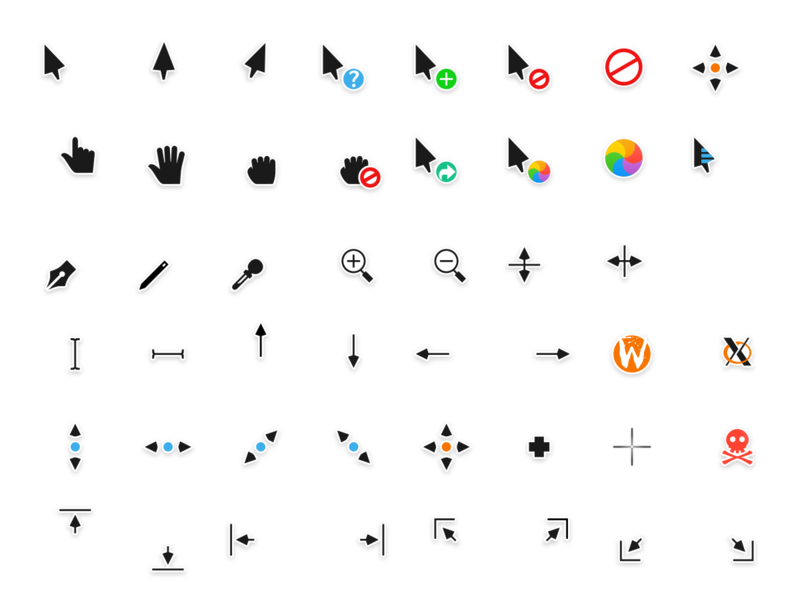 This is an xcursors theme inspired by macOS and based on KDE Breeze, designed to pair well with my icon theme, La Capitaine. Builds are available for GNU/Linux and Windows. This is a (totally useless) high-resolution art project that plays with line and colour. It's a result of messing around too much in Inkscape when I was bored one day — powered by a bit of inspiration from Andy Warhol. 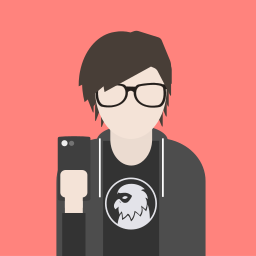 This is an SVG resource kit for building modern, material-design-inspired avatars for contact details, social media profiles, etc. Based on work by Alex Lionne.